Dr. Li Bai is the Chair and Professor in the Electrical and Computer Engineering Department at Temple University. 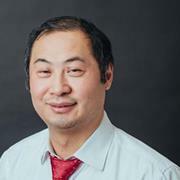 He has extensive research experience and expertise in distributed software computing, wireless sensor networks, system and software integration using commercial-off-the-shelf products and computer network security. He published over 60 peer-reviewed international journals and conference papers in the related areas. He has been involved in several sponsored research projects using portable devices with 802.11 wireless communication protocols. In addition, he was a core organizer in the 8th International Conference on Information Fusion held in Philadelphia in July 2005. System and Software Integration Using Commercial-Off-the-Shelf Products and Computer Network Security. Kollmer, J.D., Biswas, S.K., Bai, L., Sarwat, A.I., & Saad, W. (2018). A hardware-in-the-loop experimental platform for power grid security. ASEE Annual Conference and Exposition, Conference Proceedings, 2018-June. Kollmer, J.D., Irwin, R.S., Biswas, S.K., Saad, W., Sarwat, A.I., & Bai, L. (2017). Development of an experimental platform for analysis of cyber attacks on the power grid. ASEE Annual Conference and Exposition, Conference Proceedings, 2017-June. Gong, N., Biswas, S.K., Bai, L., & Butz, B.P. (2016). An intelligent tutoring system for multimedia virtual power laboratory. ASEE Annual Conference and Exposition, Conference Proceedings, 2016-June. Korostelev, M., Bai, L., Zoor, A., & Tucker, C.A. (2014). PIPSS: A portable instrument postural stability system to assess dynamic postural stability. BIODEVICES 2014 - 7th Int. Conference on Biomedical Electronics and Devices, Proceedings; Part of 7th International Joint Conference on Biomedical Engineering Systems and Technologies, BIOSTEC 2014, pp. 312-315. Gong, N., Butz, B.P., Bai, L., & Biswas, S. (2014). A realistic intelligent multimedia virtual laboratory for power engineering. ASEE Annual Conference and Exposition, Conference Proceedings.